Do you hate those stock steel looking lug bolts on your Porsche? What about the chrome ones with your black wheels? 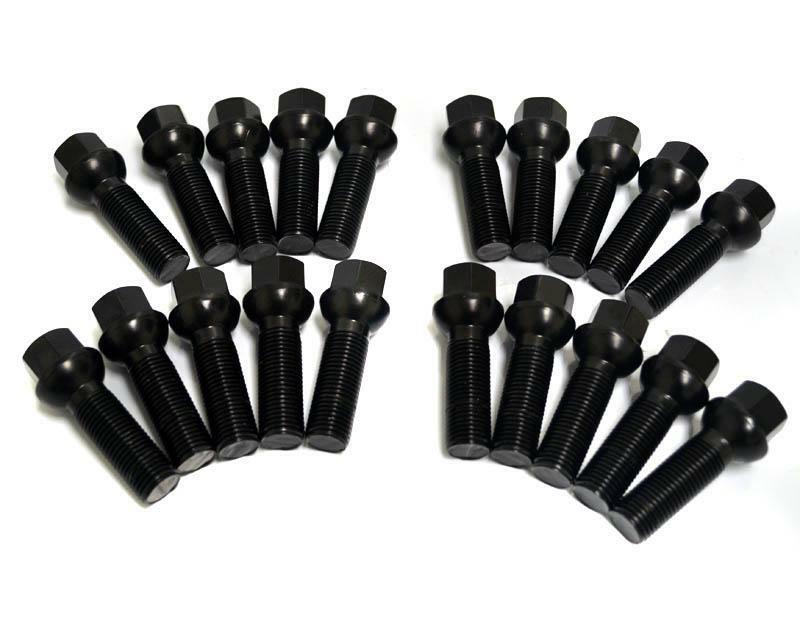 Well finally Agency Power is HERE to the rescue with these Gloss Black Lug Bolts for the newer Porsche vehicles. The set of 20 wheel bolts replaces all your factory lug bolts and are the correct conical seat style for Porsche specific wheels. These are longer then stock bolts, and at 39mm in length, perfect for those that use spacers to ensure a safe amount of thread turns. The bolts are finished in a Gloss Black color that will not chip or scratch as they are powder coated. With proper torque on the 17mm bolt head, they will hold your wheels on securely. These lugs will fit all the new Porsche models including: Boxster, Cayman, 997 Carrera, 997 Turbo, 997 GT3, 996 Turbo, 996 Carrera, 996 GT3. Agency Power’s closed end lugs nuts are designed for those seeking to add the finishing touches to their vehicle. The high quality lug nut set is a great addition to any vehicle for added style. The thin walled lug nut is smaller which allows it to fit wheels with a smaller diameter lug hole . As well as being lighter then most OEM wheel lug nuts, they are designed without sacrificing durability thanks to the hardened steel material. As an added bonus, the Agency Power lug nut kit includes a proprietary 19mm socket adapter providing you security to your vehicles wheels much like a wheel lock does. Agency Power has 3 separate color options for the lug bolts in: Brilliant Red, Bright Blue or Gloss Black. Includes: (20) Lug nuts and proprietary 19mm wrench adapter.